Sing for Matugga July 2018 – great success! 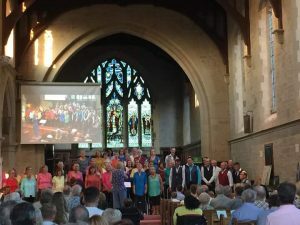 Thank you to everyone who sang, performed and attended the Sing for Matugga concert on July 14th, with your support we managed to raise £1000 – so thank you from Give a Child a Hope and to the champions at Revival Centre who will benefit from this great fundraising effort! Thank you especially to Keely Hodgson, natural voice practitioner for believing that everyone can sing and for organising this fun event! 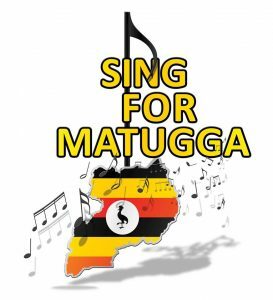 Sing for Matugga July 14th 2018!! Ben Rhydding Community Choir & guests sing for Matugga at St. John’s Church, Ben Rhydding, this Saturday, 14th July, 6.30pm. Guests: Ashlands School Choir & Djembe Group; Transpennine Harps; MOSS (male vocal ensemble), AcaBella. Raising money for the UK charity “Give A Child A Hope” which supports the work of The Revival Centre, Matugga, Uganda.